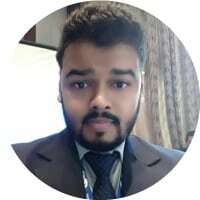 Hi, I am Nikhil Jain, a “ResearchPreneur” – an Entrepreneur with research as his core interest to solve more complex problems and to build solutions for masses. I am a PhD student in Geomechanics; Cofounder of foreignadmits.com, founder of ResearchPreneur; a seasoned social media marketer and a growth hacker. I have also been career mentor for 1000s of students and have had mentored few startups too, being a community developer and manager at PushTalent and PushStart respectively. I am also a business advisor at Oistay.com. I love brainstorming on ideas and real-life problems. Besides all these, I love to play Dota and interact with passionate people. I started from small gigs like facebook post sharing, social media account setup and management as a Campus Ambassador at Nurture Talent Academy and thus ending up with a paid internship with the same company. Slowly, I started using LinkedIn for content posting and networking and Facebook page for content development and marketing. Thus with loads of learning lessons from many influencers, many courses from Coursera, Udemy and Edx, I started implementing strategies for my own pages and posts. Also started helping SMEs and startups in social media branding and visibility. Meanwhile interning at Youtern and helping them with social media and SEO strategies enhanced my skills at global market scale. Now, I consult startups for initial traction strategies, growth hacking for innovative marketing, customer success analysis, social media branding and brand engagement, personal branding for individuals. As a co-founder of Digimarketerz (my previous digital marketing consultancy startup), I have helped many clients from cross-vertical domains. I have been a speaker at the college level and have a strong offline influence among 30k+ people (my network and my community). I have been a leader in organizing meetups and conferences. Also, have been managing a community for careerists for over 2 yrs via Whatsapp groups (9 groups and all spam free) and PushTalent ( Facebook Group). I have also been an active contributor and a seasonal manager in PushStart (a hyperactive facebook community of entrepreneurs). In the research community, I have a fair impact through my publications and 2 book chapters. In career and startup ideas to execution, I hold the belief of many people (over 1000s) as a mentor and helping hand. Blockchain, Crypto but not Bitcoins, PersOffline Mix Online strategies, Psychology analysis of customers and users, the emotional aspect in automation of marketing through NLP and Deep Learning. Podcasts, Speaking Opportunities, White Paper, Product Ideation and Development, Branding and Growth Hacking, Social Media Business Strategies. Email at nikhilchhajar@gmail.com, Message on LinkedIn or Twitter.